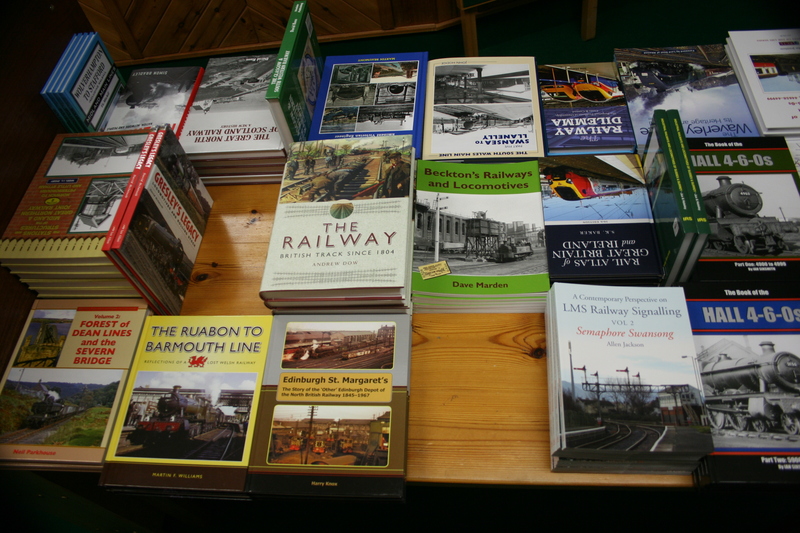 Our stock of the latest new books arrived safely this afternoon and the Guvnor has enjoyed arranging them on the centre table. He hadn’t quite finished when I took these pictures. I’m looking forward to adding these to our web site listings. 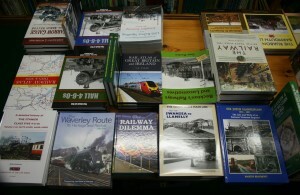 Although you won’t find them on the web site yet, they are all available to order by phone. 01780 766266. Meanwhile to celebrate I have restored the New Book section of our on-line catalogue, which I had to remove when the stock was boxed up at Station House. 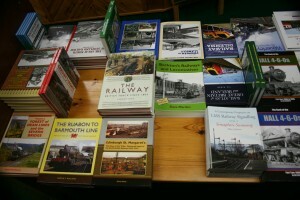 On the table I can see at least one book (Andrew Dow’s magisterial treatise on permanent way – The Railway) which you’ll already find on our site.